[PC ] Can’t save game. We’ve noticed some issues with AV software (Bitdefender etc.) preventing Generation Zero from writing saves. To prevent that in the short term please add Generation Zero as a trusted process in the software you are using. “Track Another Castle” mission cannot be completed as it gets stuck on the “Defeat any remaining machines to Reclaim the Bunker” 8/9 | Workaround is to restart the game client. Pre-Order items will not show on your character creation screen (this is intended behavior). You will find your pre-order items in game under the “profile” menu. Your characters share the same world. When starting a new character, the story progress does not get reset and you spawn at the last checkpoint you visited with the last character. To completely reset and start over, you need to delete all your characters in character creation menu. For all the players who are loosing mission progress after multiplayer please see this thread and help us collect more detailed information. To avoid some confusion about how the mission system is supposed to work in MP I will try to explain with some examples. Adam has made progress and completed 3 missions. Eve has made progress and completed 2 mission and she is currently playing mission 3. Adam joins Eve’s game (eve is hosting, Adam is guest). They play and finish mission 3 together. Adam has already finished the mission so it won’t impact his progression. When they start playing Mission 4, Adam will start making progress that should be saved for him when he returns to his game. Eve will see Adams missions in her log and NOTE the save icon being crossed over. This will notify her that they can play together, but the progress for mission 4 will not save for Eve. It will save for Adam. Once Eve returns to her own game, the missions she previously saw while in Adams game will no longer be in her log ! As a guest, if you check your log and you don’t see the save icon above under a specific mission, you will be able to play that mission together with the host and save your progression. In both cases above, they will both save any loot picked up, any XP earned. Their achievements, collectibles, stats should also be saved for both. 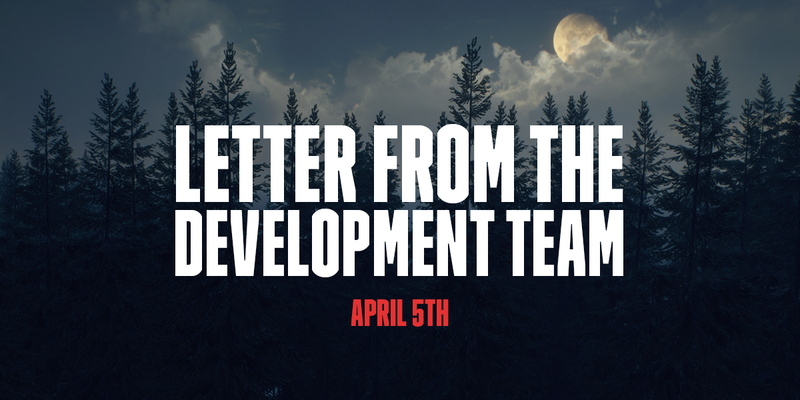 An update on this week's goings-on from the Development Team. We are investigating, fixing and verifying many, many, many issues. Thank you to all of you who give us details around your issues and those who help others find temporary workarounds for problems. We are looking into Windows 7 boot issue. A workaround seems to be patient and then to hit esc a couple of times while on the black screen.